• Thailand government spokesman Lieutenant General Sansern Kaewkamnerd said yesterday that the three leaders of an anti coal fired power plant protest held in front of Thailand Government House on Saturday had been released and that Prime Minister Prayut Chan-o-cha had ordered the Electricity Generating Authority of Thailand (EGAT) to review the environmental impact study and the environmental and health impact assessments for the proposed Krabi power station. • Thailand authorities are continuing their search for Phra Dhammachayao, the former abbot of Wat Dhammakaya, Thailand’s largest Buddhist temple, after a search by more than 4,000 police, soldiers, and the Department of Special Investigation (DSI) of the 400 hectares (988 acre) temple complex on the outskirts of Bangkok failed to find the 72-year-old monk who is accused of embezzling Bt1.2 billion (about US$34.3 million) and land encroachment. • The National Reform Steering Assembly (NRSA) is meeting today to consider reforms to the immigration information database and ecosystem management, in addition to examining a report on Thailand’s petroleum reserves by the energy reform committee. • The Tourism Authority of Thailand (TAT) has launched five new promotional concepts – Beautiful look, Beautiful shape, Beautiful retreat, Beautiful mind, Beautiful experience – in an attempt to encourage more women to visit the Kingdom. 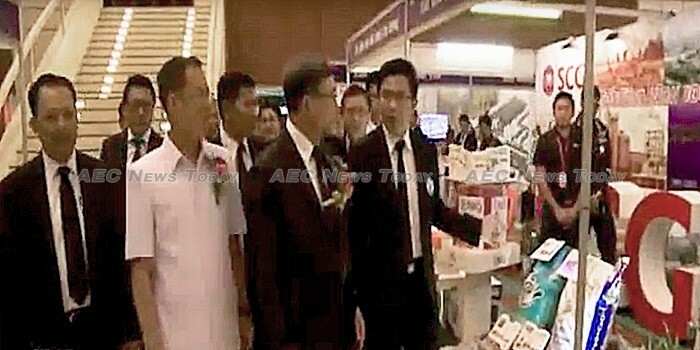 • Deputy Prime Minister Air Chief Marshal Prajin Juntong has delivered a speech titled ‘Smart City’ while opening the Issan Industrial Fair 2017 in Khon Kaen, northeastern Thailand which attracted manufacturers from Lao PDR as well as Thailand. • The ten foreign ministers of the Asean Community are set to discuss recent developments in the South China Sea when they meet in Bangkok tomorrow at the first Asean Foreign Ministers Meeting for 2017.